Australian Internet of Things (IoT) firm Fleet Space Technologies has signed a contract with US orbital launch provider Rocket Lab to launch two satellites that will form the foundation of a global IoT communications constellation. Designed and built by Fleet, the two identical 1.5 U Proxima satellites are the first of a fleet of small, low-cost satellites that will provide internet connectivity for millions of sensor devices based in remote locations on Earth. Fleet Space Technologies Chief Executive, Flavia Tata Nardini said the satellites will ultimately help form the beginning of a constellation of more than 100 nanosatellites that, together, will act as a dedicated IoT space network for enterprises across the world. “We decided to build and launch two more satellites over the past few months and Rocket Lab has moved at the speed of light to incorporate them in this mission, assist us with licensing and complete integration in record time. We will be in space less than few months after making the decision to join the mission. This rapid turnaround time is what the space industry really needs now,” Ms Nardini continued. Rocket Lab Chief Executive, Peter Beck, said the two satellites have been added to the manifest for Rocket Lab’s upcoming mission, ‘It’s Business Time’, which is scheduled for launch in November. “We’re thrilled to add Fleet’s Proxima satellites to the It’s Business Time manifest. Fleet’s planned constellation of more than 100 satellites will enable greater connectivity across the globe and provide better access to data about our planet,” Mr Beck said. The launch will mark the first commercial tests of Fleet’s software-defined radios, enabling it to transmit data efficiently across both S-band and L-band frequencies in space. 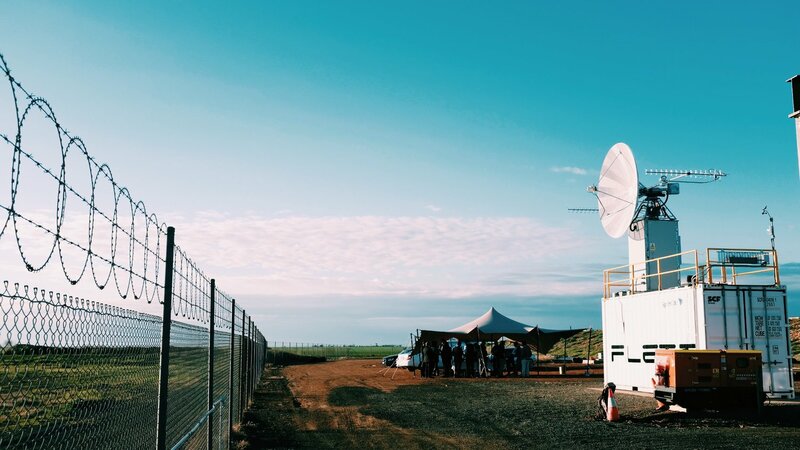 Fleet has already been cleared by the Australian Communications and Media Authority (ACMA) to perform satellite telemetry, tracking, and command, and payload data reception across S-band and L-band frequencies, with the company to also test longwave and shortwave band frequencies.